Beautiful ice skating dress has lace 'wrapping' across the bodice and skirt! Sleeveless skate dress has sweetheart front and deep 'v' back. Suntan mesh neckline keeps you secure. Ice skating skirt has a touch of fullness to flow when you skate; skirt layers in spandex and lace. Such a romantic look! Ice skate dress sparkles with size 20ss AB color crystals scattered lightly over the lace. Ice skating dress shown in royal blue. Also available in turquoise. Want a different color? Simply choose 'custom colors' from the drop down menu, then select the color you want from our optional color choices below. Optional colors are available on all of our ice skating dresses. Search terms: sleeveless, blue ice skating dresses, flowy, competition. Choose your style. Choose your color. Genuine Revella Skatewear. 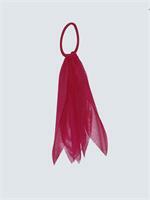 We offer a wide selection of colors for skater dresses, figure skating dresses, and ice skating dresses. Girls skating dresses in beautiful styles and colors. Let our friendly customer service help you get the competition ice skating dress you want. Customizing options are available through our Alterific page for all of our ice skating dresses. It's easy to get the figure skating dresses you want! Choose from our selection of sleeve styles and skirt styles on our Alterific page to customize your ice skating dresses. We offer beautiful women's figure skating dresses, and pretty ice skating dresses for girls. Any dress. Any available color. The choice is yours. Revella Skatewear. 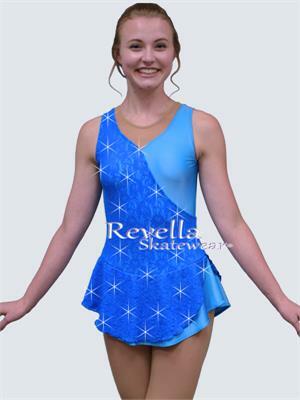 Choose Revella Skatewear for your next competition ice skate dress.